When I was about eight or nine years old I went on a school trip to the Manchester Liverpool Road Station, and I can still vividly recall the diminutive astonishment of class 3a upon learning that we were standing in the world’s first railway station. 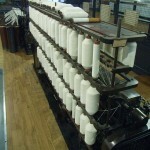 That was my first visit to Manchester’s Museum of Science and Industry. It was a good start. My father took me there on my 15th birthday, and I remember meandering happily around the Air and Space Hall, and how the sleek shape of the English Electric Lightning and the gigantic majesty of the Avro Shackleton captivated the pair of us. He’s gone now and when I think of him, which is often, I try to remember that idyllic August afternoon, spent plane spotting inside that lovely old Victorian glass walled former market hall. The MOSI has been a part of my life for so long it’s like one of the family now and not only can I not imagine the city without it, I actively don’t want to. I’ve lost count of how many times I’ve been there over the years. A trip around its galleries was something of a rite of passage for my girlfriends and even the mad one, who in character and temperament so resembled Queenie in the second series of Blackadder, seemed to warm to the place. But my attachment to the Museum goes beyond simple sentiment, beyond mere civic pride even, because the fact is the MOSI fits just about every complimentary museum/visitor attraction cliché you can think of. To start with, it’s big – and when I say big I mean you’d better bring an umbrella because if it rains you’ll get properly wet just walking between the sites kind of big. 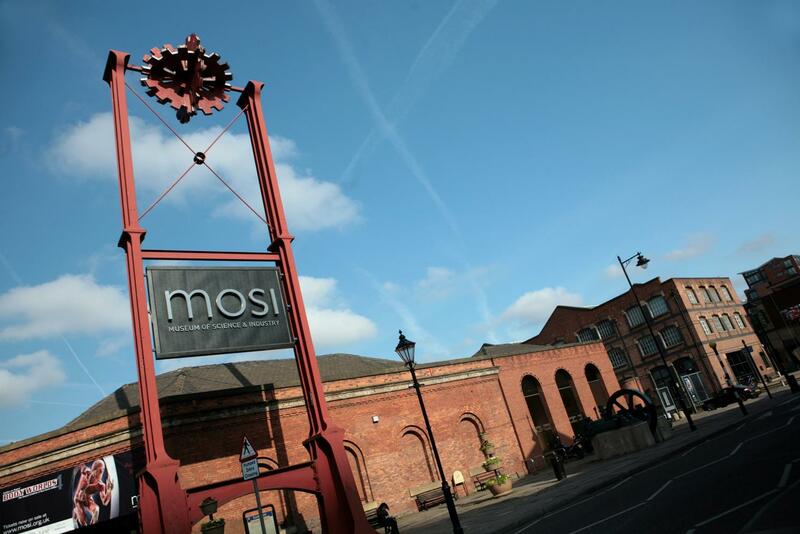 Lots of places boast of just how much they have to see and do but the MOSI, spread over five large buildings on a single site in the Castlefield area of Manchester, is genuinely enormous. You can easily spend a whole day at the museum, and because it’s so vast it has space to cater effectively for children as well as different levels of interest amongst adults; although to be honest the vast machines on display often make children out of the adults too. In reality it’s a collection of museums, and while it’s true it has an emphasis on the relevant heritage of both the city and the wider region it’s not just merely of parochial interest; after all Manchester was the world’s first industrial city and the technical and scientific spin offs from that have been considerable . In effect, the MOSI documents not just the industrial and scientific heritage of Manchester, but of industry and science itself. 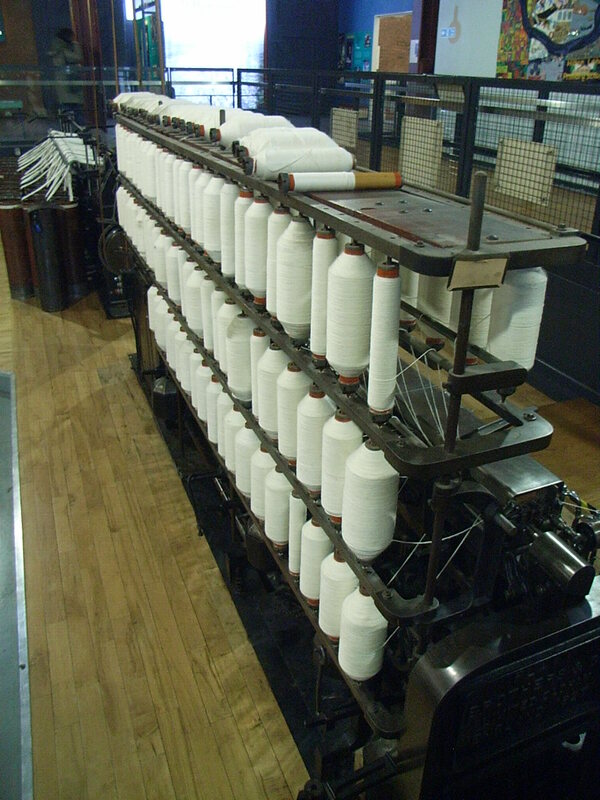 Two large Victorian warehouses are used to tell you the story of textiles, computing, the development of the gas, water, electricity and atomic industries and each is stuffed to the gills with models, original equipment and quite a number of very detailed dioramas, which when you first happen upon them look strikingly like life-sized settings for paintings by Edward Hopper. As you wander around, one of the things that strikes you is just how good a condition everything is in, a testament not just to the preservation work of the staff and volunteers, but also to the original builders themselves. Nowhere is this more apparent than in the Power Hall, which is packed with working examples of steam, gas, oil, hot-air and diesel engines. As you enter the large open plan building a cheerful assault on all the senses begins. The massed engines give off a pleasing heat, which like the cacophony of sounds is impressive but never oppressive. The nose is treated to a bouquet of combusting coal and oil on metal, which is both oddly familiar and vaguely comforting. And for the ears there is the pleasing symphony of a dozen massive engines turning quietly and flawlessly under their unnatural power; a sound Schoenberg would have sold his soul to produce. Although I could have written this review simply from memory, I made a special trip for the purpose, and boy am I glad I did. Ask me why I’m glad…go on, ask me. Well, since you’re asking, I’m glad because I was granted a rare privilege when I toured the Air and Space Hall, which is packed with parked aircraft and their engines, and is possibly the best place to do some really satisfying gawping in the whole of the city. 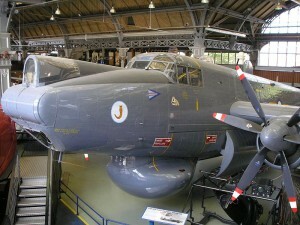 The privilege in question was being allowed inside the grand old lady of the Museum, the majestic Avro Shackleton – codename Dougal. For the handful of you who don’t know, the Shackleton was a direct descendant of the famous Lancaster Bomber and, although it first saw service in 1951 it was, staggeringly, still flying as the country’s first line of early warning against Soviet Nuclear attack in 1990. I’m not afraid to say that as I sat in its gloriously archaic cockpit I hummed the theme tune from The Dam Busters and urged my imaginary crew to look out for fighters. I wished my dad could have seen that, it would have made him smile. Thank you MOSI. I love you, I really do.